NOTE: Letters V-Z coming soon! 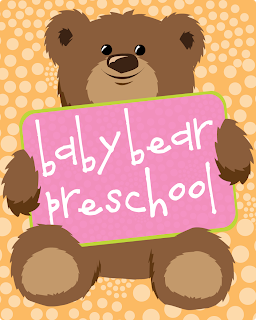 We were super busy last week with Thanksgiving Activities at Baby Bear Preschool! I've started using our AWANA verses instead of going with the theme/letter so she's not confused and this has worked really well so far. Sweet P is reeeeeeally into coloring right now. I mean like, really into it. It's her absolute favorite activity and she asks to color any chance she gets. When choosing activities I kept that in mind and had plenty of stuff for her to color using markets, dot markers or crayons. She loved it! We used 3 Dinosaurs Thanksgiving pack for the majority of our activities this week! Dot Cornucopia: She used corresponding DO-A-DOT MARKERS (Google Affiliate Ad) to dot the missing colors on this Cornucopia. For veggies that didn't have a color we own (like the onion), she chose her own. Patterning: This was pretty hard for her since they were missing 2 spots, but she still enjoyed gluing and trying to figure out where each piece went. Coloring Pie Fractions: I put a dot of color in each pie so she understood the key and she set to work. When she was finished she said, "Oops, I colored the wrong ones!" And self-corrected. Count the Food: 3 Dinosaurs has numbers you can print and cut out to go with this activity, but I have wooden letters from a perpetual calendar that work really well. We did several different variations: putting a number up and placing that amount of food, placing food and counting to find the number. I would also put a number out (i.e. 10) and then say "Ok, we need 2 pies, 2 squash, 2 ciders, 2 salads and 2 rolls to make 10." Then she'd find what we needed and count them to make sure we had the right amount. Following Directions: Sweet P loved this! There were a few short directions and then I made up a few more before I said, "Ok, the rest is up to you!" Thanksgiving Counting Sheet: The directions say to write the numbers, but we used the perpetual numbers again. She'd count each item and then put the corresponding tile on the picture. Dot Turkey: Instead of dot markers, I put a sheet of smiley face stickers on her tray with this sticker. She matched the color of the turkey feather to the colored smiley face stickers. Number Line: There were 4 little cut outs to use with this. I'd cover a number on the number line with one of the figures and she'd figure out which number was missing. We started with one, then moved up to 2 numbers and ended with 4 numbers covered. It was so fun to watch her figure this out. Some she knew right away, but others she had to count through to figure out. 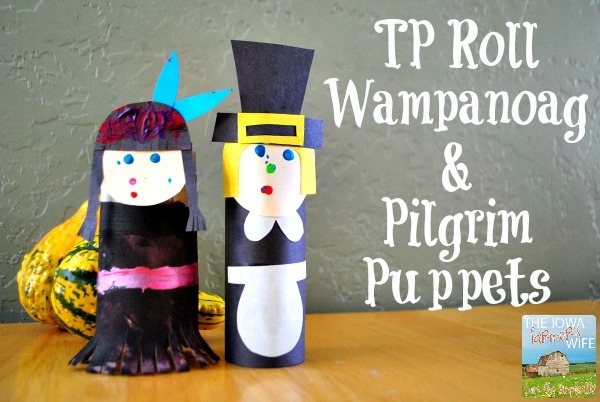 More Following Directions: Same as above, but with female pilgrim and Wampanoag. 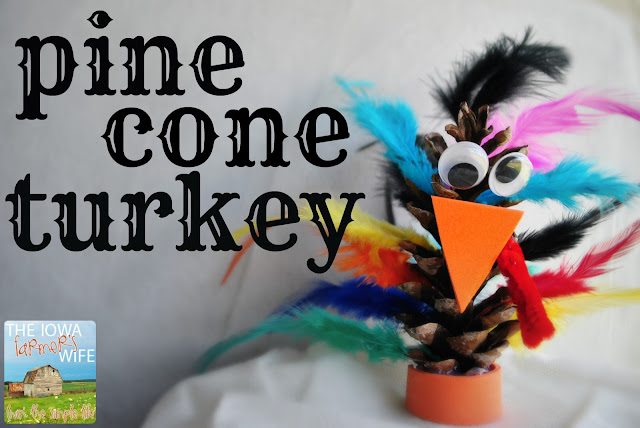 Turkey Spelling: This sheet is from Little Monkey Printables' Thanksgiving Pack (we used it last year). When she first picked up the tray she started putting the letters on out of order so I showed her how to start with the first letter and then find the 2nd, etc. We talked about each letter and then sounded out each word once she'd found all the letters. I used Bananagrams (Google Affiliate Ad) tiles for this. P is for Pilgrim: Just a simple coloring sheet that Sweet P loved coloring.She was especially proud of the girl pilgrim's hair. Check out those highlights! Thanksgiving Coloring by Directions: LOVED this. My favorite part was when I read to color the turkey in the oval white, I said, "How should we do that?!" And she said, "We leave it white!" ABC Path: Sweet P used dot markers to complete this. She got stuck on a few and really had to search for the next letter. 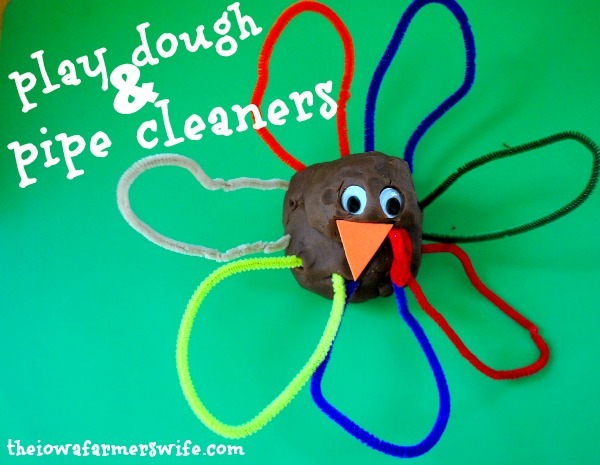 Foam Sticker Wreath: This was the kids' craft at the Indoor Farmer's Market last week! Fall-themed Story Basket/Box: I made up a story to go along with this cute cut outs I found at the Target 1 Spot. It was a story about a squirrel named Nutter, a turkey named Tom and an owl named Hoot. They were in a pie baking contest and each went to the store to find the ingredients they needed. Tom needed 1 apple, Hoot needed 2 pumpkins and Nutter needed 3 acorns (he was already holding one). Each contestant baked their pie and presented it to the judges (3 pine cones). The prize was a big red leaf. Tom wanted it to hang on the wall, Hoot wanted it to put in her nest and Nutter wanted to crunch it up and sprinkle it on her floor. The judges couldn't make a decision so the awarded all 3 contestants with the leaf. Tom hung it on his wall for 3 weeks before passing it to Hoot, who used it in her nest for the winter. She then passed it to Nutter who crunched it up and sprinkled it on the floor. The End.